In recent years the developed world has seen an increase in the prevalence of incurable diseases and disability. Medical and technological advances have reduced infant and child mortality rates and, at the same time, have improved the survival rates of children with severe and potentially lethal pathologies, who need complex palliative care. For many years palliative care was not offered to paediatric patients and even today in Italy, despite the development of some specific programs, palliative care services specifically for children are still limited and inconsistent, and only a minority of children with incurable illness benefit from palliative care services. Many of these children will die in inadequate conditions; without relief from distressing symptoms, usually in a hospital setting and rarely with care support in their own home where many would prefer to spend as much time as possible and eventually die. The reasons for these shortcomings in the provision of paediatric palliative care can be attributed to organizational, cultural and economical barriers. The situation is further complicated by the unique aspect of childhood illness and small patient numbers which, together with the multiplicity and broad geographical distribution of cases, determine the organization of palliative care services very different to those provided for adults. Children with life-limiting and life-threatening illnesses deserve a thorough cultural and organizational reappraisal of how we care for them when treatment is not aimed at recovery but at offering the best quality of life possible. A more efficient use of the resources currently allocated for the care of these patients could be achieved by creating specific paediatric palliative care services and integrated networks that would guarantee a more appropriate management of the illness (at home, in the hospital, in the hospice) whilst safeguarding the dignity and quality of life of young patients and their families. This would result in a reduced demand on acute medical services and, consequently, on healthcare resources. The Maruzza Foundation has taken to heart the plight of these children and their families and, with the backing of scientific committees, parent and paediatric associations, is currently working at a national and international level to bring about important institutional changes. The Children Project aims to develop a network of hospice and palliative care services in Italy (at a regional level) that meets the needs of children and adolescents affected by life-limiting and life-threatening illnesses, regardless of age, cultural, social and economic background. The purpose of this project is to organize the paediatric palliative care network in 3 Italian regions (Marche, Lazio and Basilicata), for integrating paediatric palliative care across health services, through the establishment of regional interdisciplinary care team. Following the Italian law n. 38/2010, through an official regional resolution, all these regions deliberated for the establishment of dedicated paediatric palliative care network. In the absence of specific epidemiological data, it has been estimated from existing national and international figures that, at any one time, in the 3 selected regions (Istat figures 2011, resident population: 1.305.019 children < 18 years), the number of paediatric patients affected by chronic incurable pathologies in need of child-specific palliative care is approximately 1.300 subjects (prevalence data): each year about 130 will die (about one third from cancer and 2/3 from other pathologies, predominantly neurodegenerative, metabolic and genetic). Group 1 - Life-threatening conditions for which curative treatment may be feasible, but can fail (for example, cancer, organ failure of heart, liver or kidney, etc). Group 2 - Conditions requiring long periods of intensive treatment aimed at prolonging life, but where premature death is still possible (for example, cystic fibrosis, HIV/AIDS, cardiovascular anomalies, extreme prematurity). Group 3 - Progressive conditions without curative options, where treatment is palliative after diagnosis (for example, neuromuscular or neurodegenerative disorders, progressive metabolic disorders, chromosomal abnormalities, advanced metastatic cancer on first presentation). Group 4 - Irreversible, non-progressive conditions with severe disability causing extreme vulnerability to health complications (for example, severe cerebral palsy, genetic disorders, congenital malformations, prematurity, brain or spinal cord injury). To organize the paediatric palliative care network, it is necessary to establish partnerships with the main Paediatric Hospitals (if any) in all the selected 3 regions. 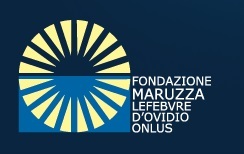 In the Lazio region, for example, a Memorandum of Understanding was signed in April 2011 between the Maruzza Foundation and the "Bambino Gesù" Children's Hospital (the biggest paediatric hospital in centre-southern Italian regions) to jointly develop the paediatric palliative care network in the Lazio region by recruiting the most prominent expert in the field (Dr Franca Benini). She will coordinate the project and develop the network. A different approach will be developed with the other regions, as the local situation is quite different for each territory. -	Support the integration with social and primary care services to assure continuous care provision. -	Raise awareness of the significance of child-specific palliative care. 1. Hospital-based care: where a team based at a paediatric tertiary centre continues to care for the child discharged from hospital. The team is often comprised of clinical nurse specialists, a consultant, a registrar, a psychologist, clinical ethicist and administrators. They work closely with other teams in the hospital, including the chronic pain service, disease specific teams, the intensive care unit (NICU/PICU) (most children die during the first year of life), other hospitals, hospices, G.P.s, local community health services and schools. 2. Community-based care: where a community-team cares for the patient and the family. This solution permits the child to lead a regular family and social life; it offers the possibility of broad geographical coverage and the provision of multidisciplinary services. However, this solution can suffer from discontinuity of hospital treatment, insufficient resources and inadequate skills; all too often, the bulk of the child's care is delegated to the family unit. The success of this care model depends on communication and interaction between hospitals and community services, training in paediatric palliative care for local primary care staff, skills training for the family preparing them to assist the community-based services and the availability of medical supplies and equipment. Community teams should be able to call on the experience of a specialist paediatric palliative care team when needed. It has been shown that care provided to children by community services can be far more cost effective than allowing children to spend inappropriate time in hospitals (i.e. delayed discharge) or attending hospital outpatients (i.e. for routine testing). Home-care is not always feasible; for particularly complex cases, exhaustion, emotional stress or logistic and organizational reasons, temporary residential solutions are necessary. Residential solutions for children with life-limiting or life-threatening disease can be provided primarily in three care-settings; hospices, in hospital acute wards/intensive care units and, more recently, in inpatient paediatric palliative care units. The formation of child-specific interdisciplinary palliative care teams in 3 Italian regions would produce immediate and tangible results, hugely benefiting children affected by incurable, chronic disease and their families. It would permit the rapid activation of home-care support networks, thanks to the interface with the region's primary services, hospitals and children's hospice (currently at the planning stage). The implementation of the project will represent an entirely new approach to delivering healthcare: seriously ill children will finally be acknowledged dignity as an individual and given the chance to become part of the decision-making process (together with the family) to establish treatments, goals and care-settings, ensuring better quality of life for the patient and family. The child-specific multidisciplinary care teams in 3 Italian regions could become national models for similar initiatives and, in turn, develop into centers of excellence for training, planning, monitoring and the development of research in child-specific palliative care.